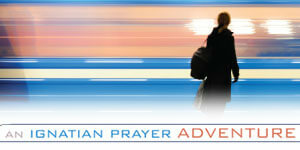 Greg Kennedy, SJ, shared an Advent poem on the igNation blog. Here’s a taste. We’ve all taken numbers from the red machine on the wall. Above, red periods on a screen combine into figures that put our time in its place; we wait and wait efficiently.